The 17.2 Shooters Challenge will be pushing distance limits as well as promoting archery in our youth! We want OAC shooters to not just be accurate and well prepared for the upcoming 2017/2018 hunting seasons but ambassadors to the sport. So with that being said 17.2 is the Scholastic 3-D Archery Shooters Challenge. Find out more about S3DA here. So for 17.2 OAC competitors will earn points for sponsoring any youth archer that not only attempts the challenge but also scores arrows. There is no youth bonus for 17.2 and if you have a youth member on your team we encourage you sponsor a friend, sibling, or relative to attempt the challenge also. Step 2: Do registration at beggining of attempt video of first name only, team represented, and age to confirm distance. Step 3: Follow standard video procedures at required distance. Mentor the young shooter through entire challenge process. Points: Will be added to Team members 17.2 total. Youth archer can not be on current roster. +20 per attempt for any team member or sponsored youth shooter. 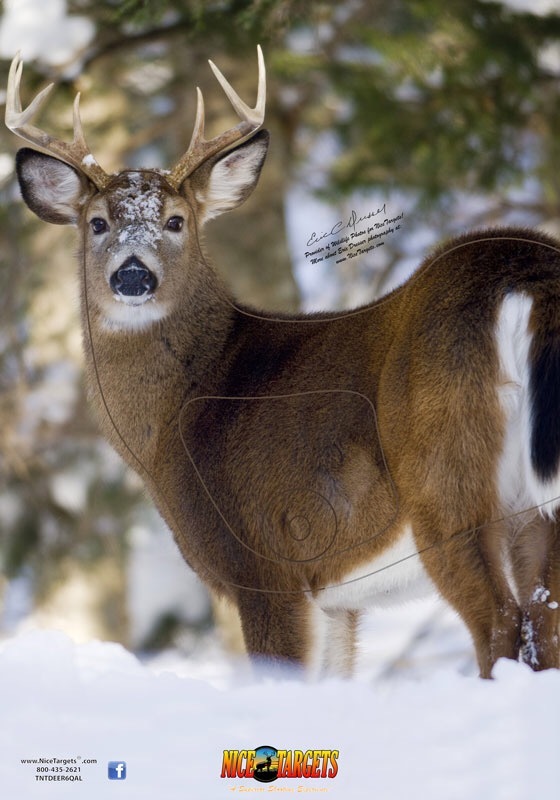 The target is the NiceTargets Quartering away buck but if you don’t have it a downloadable vital area will be provided via PDF. Some parts of the scoring rings will not be available but that’s the down fall of not ordering targets. If you would like to order an OAC bundle or single target itself, simply contact us to order targets for you. Downloadable vital area target will be posted here very soon.